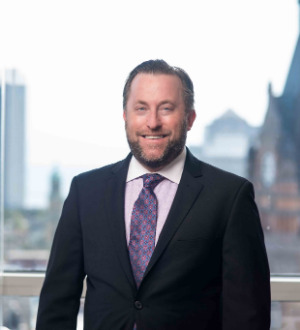 Mark D. Malloy is a trial lawyer who represents businesses in all types of commercial litigation, primarily in the areas of insurance coverage, extra-contractural liability, and professional liability. Mark is licensed in Wisconsin, Illinois and Minnesota and has first chair trial experience representing businesses across the country. Insurance clients routinely contact Mark for analysis and opinions relating complex insurance coverage issues for both personal and commercial lines. He also advises companies on extra-contractual claims handling issues, including bad faith and duty to defend issues. Mark also routinely represents businesses in the defense of professional liability claims. This includes representation of engineers, architects, construction professionals, real estate brokers and salespersons, business brokers and salespersons, title agents, and appraisers. Mark is an active member of many bar associations, including Wisconsin Defense Counsel, Defense Research Institute (DRI), Professional Liability Defense Federation (PLDF), and the Milwaukee Bar Association.